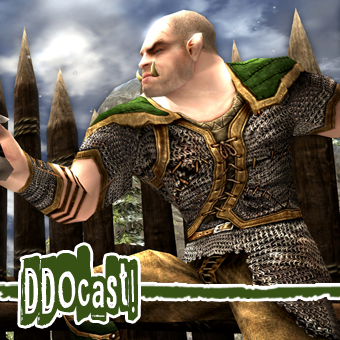 DDO News podcast « DDOcast – A DDO Podcast! Cordovan, Lessah, & Geoff join Shamgar for some tips, tricks and an overview of challenges! We also cover the week in news and give a shout out to several other DDO community endeavours! Ask the Devs returns as we ask Severlin, NoWorries, Steelstar, and Cordovan about loot in DDO! We also discuss the latest game and community news with Cordovan! Have ideas for round table topics, questions you want to ask us, or topics you’d like to see us debate? Leave us a comment! Its our first DDO Debate! Guests Geoff Hanna, Voodu Spyce, and Hauntingly battle it out debate style with questions about the Meta Game of DDO! Have some additional thoughts? Did we miss something? Do you have ideas for round table discussions, tips to share, or questions you want to hear us debate? Leave us a comment! Want to support the show? You can feed the kobolds (give money) on our website www.ddocast.com ! We use these gifts to support the show and give out prizes. FailedLegend joins DDOCast for the latest DDO News, including barbarian updates, creating loot, and the 2015 Producer’s Letter! Then stay tuned as we discuss Multiclassing! Guest Propane join us for the release of Update 24 and a discussion on choosing a race! Stay with us as we talk through each or the basic races and give you ideas for choosing the right race for your build! Have tips of your own, ideas for topics, or questions you’d like us to answer? Leave a comment below! Will Warforge be uber post healing amp changes? Voodu joins the cast this week for some Update 24 news, an overview of the DDO community, and some tips and tactics for Mark of Death. Patrick briefly covers the week’s news before launching into a beginners lesson on how to calculate weapon damage! Lessah & FailedLegend join DDOCast for some advice on utilizing pets and hirelings! Win TP and Snowy Owlbear codes by playing DDOCast Guild Feud! DDOCast returns with episode 344. Patrick gives a brief overview of the news and does a walkthrough of Through a Mirror Darkly! Look for me in game. Over the next several weeks I will be periodically logging into all servers and asking a series of questions in exchange for prizes! Follow us on twitter (https://twitter.com/ddocast) to find out when and where I will be! Join Patrick and DDOGamer’s Geoff, as we discuss the upcoming changes and build some Druids! Patrick is joined by Jerry (Cordovan) and we talk about update 19 patch 1, the playability of update 19, weapon selections, and how to be involved with DDOCast. Theres even a bonus of poetry! OMG 300 episodes!!! Join Sig, Anne and Geoff for their final DDOcast as hosts! We play a bit of DDO Jeopardy, listen to some our favorite commercials, another episode of Dragon Fragments, we’re also joined in by Producer Glin and Tolero for a bit of Q&A! One of our listeners and a good friend in Game is giving away his guild. The Darkstars decided they would Merge with The Madborn of Thelanis and offered their guild to give away for out 300th episode. They have a quality Airship stocked with amenities paid up for a month. They are a level 75 guild currently, though they may decay a it by the time we do the hand over. The Darkstars will transfer the guild to one of my characters and I will hand it over to the winner of the contest. Your guild will have a clear roster when you get it. If you were a DDO Producer: What would you do? 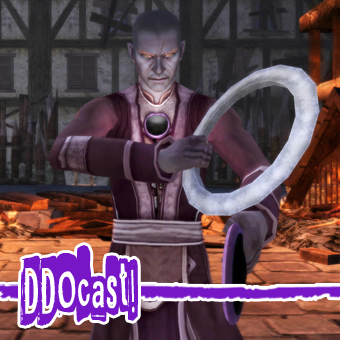 DDOcast 299 – The One Before the End! Its Sig, Anne, and Geoff’s (www.ddogamer.com) Second to Last DDOcast Episode!! Patrick also joins in for the latest discussion of DDO news and updates! We also talk about tips and tricks for going to GenCon. Plus we answer a few emails. Last chance to Answer Patrick’s Survey for Turbine Points! Join Sig, Anne, and Geoff (http://www.ddogamer.com/) as we talk about this week’s DDO news, discuss what we’ve seen in the Storm Horns, chit-chat about our adventures in DDO, and talk about our latest RPG obsessions in the table top world: 13th Age and Numenera. 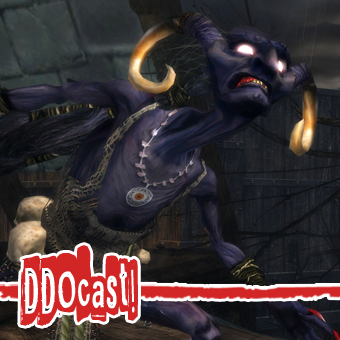 This week on DDOcast join Sig, Anne, Geoff (http://www.ddogamer.com), and Patrick as we talk about a bit of DDO news, a little talk, and a wee bit of this and that. Yes its a light news week on the DDO front, but we have a bit on Iconic classes, Pirate Coves, DDOgamer.com news, more on GenCon and some DDO community news. DDO Store Sale: 35% off Select Epic Destiny Items, Tomes of Fate, & More! Win some Turbine Points by Answering Shamgar’s Questionnaire! 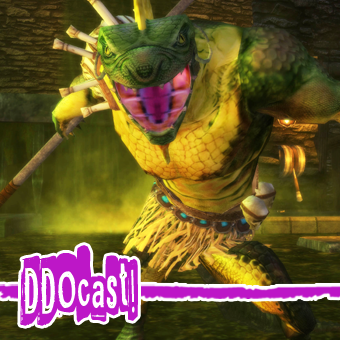 This week on DDOcast Sig, Anne and Geoff (http://www.ddogamer.com) talk about the latest lamannia build (well, as much as we can since its in closed beta), the reports about Shadowfell Xpack from other gaming news sites, we also touch on some ddogamer.com news and ddocast news. Character Undeletes are Available Again! Press Tour Reports for Shadowfell Conspiracy XPack are out! Help Shamgar in his new reign, read his open letter and answer his survey for some fre Turbine Points!